We play the 4th Sunday of every month at the Underground Music Cafe in Falcon Heights, 11am-12:30pm. Free show. 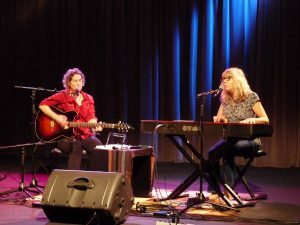 Songwriting duo, the She Shells, blend harmonies in a way that makes the listener want to tune in. 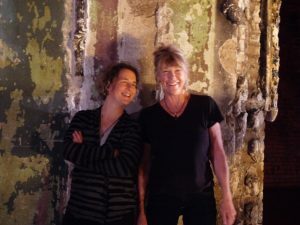 With complementing timbre and poetic phrasings, Thea Ennen and Lisa Kane are a musical pairing that can best be described as eclectic country folk. 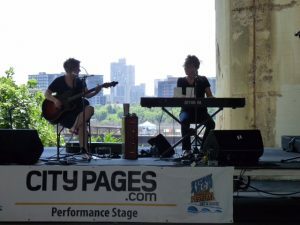 Being writers and musicians, Thea and Lisa know how to let a song take “center stage.” Their love of writing is the glue that binds them together. 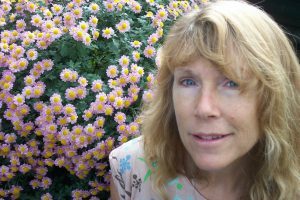 The She Shells reverence for a well written song will come as no surprise when one learns that both credit Joan Armatrading, The Band, Cat Stevens, Lucinda Williams, Buffalo Springfield, Bonnie Raitt and Bob Dylan as strong influences during their most musically informative years. 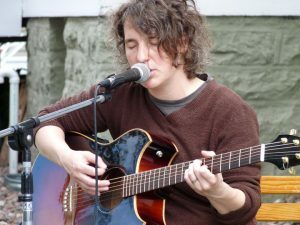 The combination of piano and guitar gives the She Shells a sound that leans toward the bluesy side of country, the groovy side classic rock, and America vibes of modern folk. There is a subtlety to what the She Shells do, not flash, rather a gentleness that comes through. The She Shells do not get on stage to grind an axe, they do the exact opposite and find the subtlety and nuances in well crafted melodies and chordal progressions. Thea and Lisa cut their teeth playing gigs in the Minneapolis/St. Paul music scene. And just like a plethora ofMinnesota musicians have done, they’ve created a sound and style that can best be describe as uniquely their own.